Update November 2017: The Impossible Project has renamed itself ‘Polaroid Originals’ as part of a major rebranding effort. The film itself is very similar, so for our purposes in this article the Impossible Project and Polaroid Originals are nearly the same. To clarify, ‘Polaroid Originals’ are the films and cameras developed by the Impossible Project, while just ‘Polaroid’ refers to the original instant film line that was discontinued in 2008. 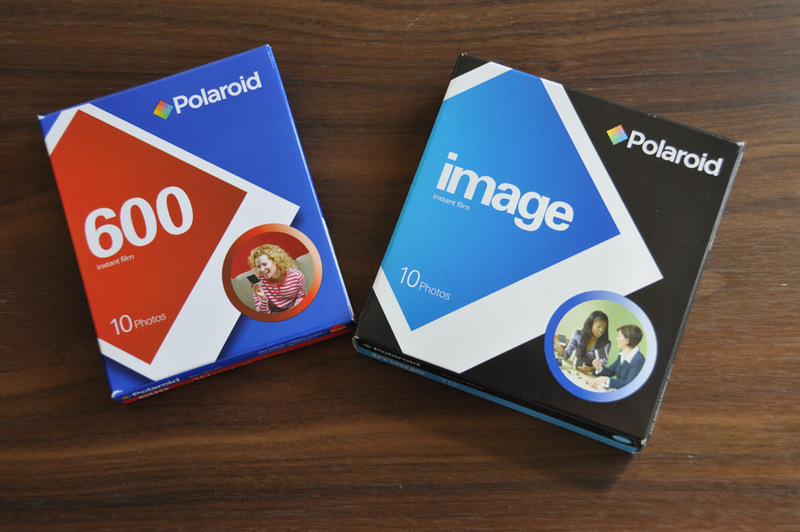 You can check out a full review of the newest generation of Polaroid Originals film here. It’s the battle royale of modern instant film formats! Unlike digital, the quality of a film image largely rests upon the film itself rather than the camera. An ultra-expensive Nikon F6 using the same 35mm film as a Fuji Quicksnap will essentially have the same ‘sensor’. The same thing goes for instant film. People often ask me if a Fuji Instax Wide 300 camera is better than a Polaroid Spectra System, but the comparison is apples to oranges since each camera uses a different film format. 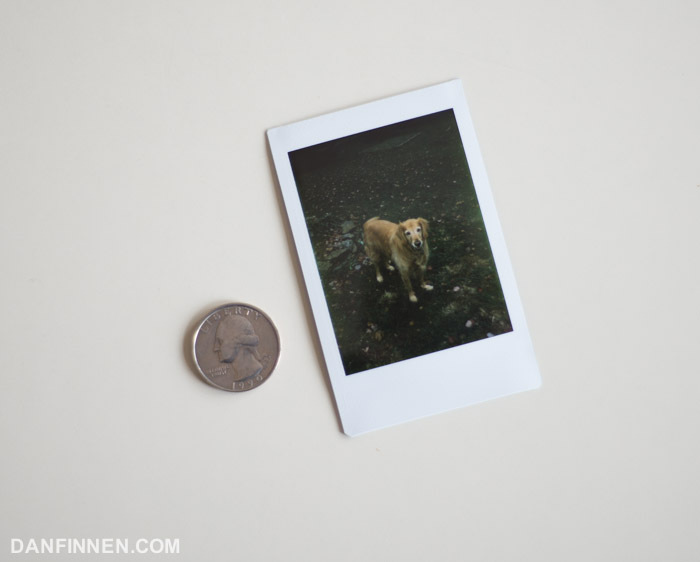 Figure out your instant film format of choice first, then find the camera to shoot it with. To help you figure out what kind of instant film format will work best for your needs, let’s look at the three most popular instant film formats in existence. 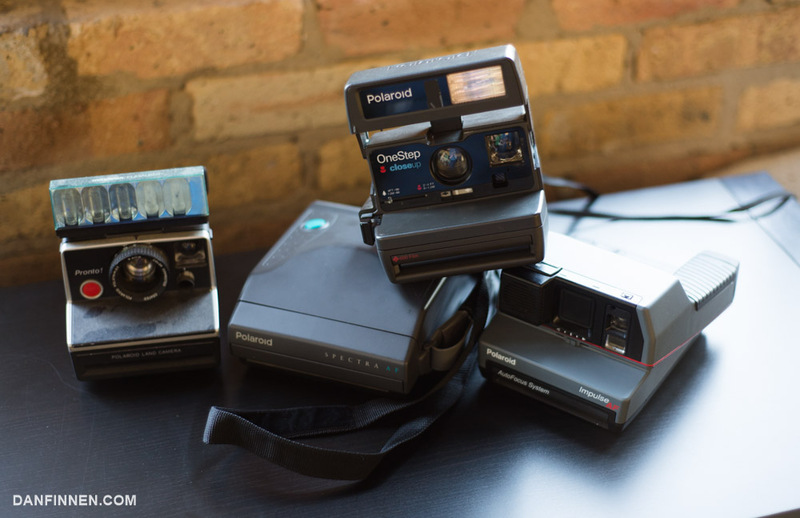 The three contenders are classic Polaroid film, Impossible Project instant film for Polaroid cameras, and Fuji Instax instant film, which Fuji makes their own line of cameras for. For our purposes, I’m going to ignore more obscure instant film formats out there like large format 8×10 Impossible Project instant film and Fuji peel-apart. While worth exploring, they are certainly not beginner formats. Let’s talk about Polaroid instant film. It was wonderful. 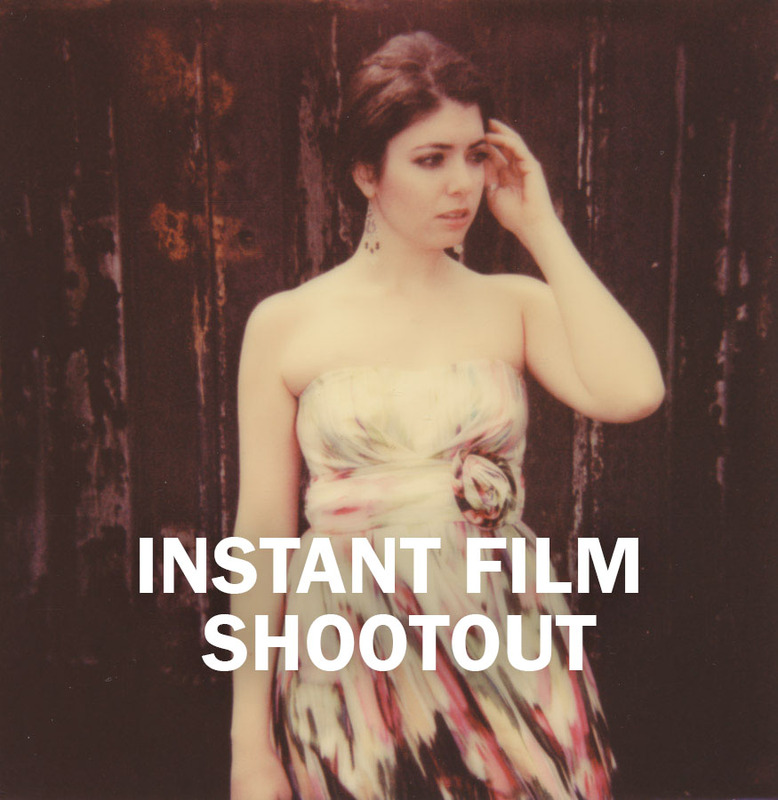 It’s what 99.99% of people think of when they hear the words ‘instant film.’ It’s timeless. It’s the best. It also doesn’t exist anymore. Polaroid officially stopped selling it in 2008 and stopped manufacturing it long before then. The chemicals were lost and Polaroid ignored pleas to keep it going. Years later, now there are a just a few cartridges with dying batteries still floating around out there, all selling at exorbitant prices. For a few years after 2008 there was Polaroid film that could still be found and shot. In 2017, it’s no longer a viable option. However, the Impossible Project has stepped in and now creates film for Polaroid cameras. While Impossible Project film does not look exactly like Polaroid, nor is it as stable, it has lots of its own virtues. So for the rest of this article, I’m going to be comparing Impossible Project film to Fuji Instax, both of which are the only formats that are actively sold and developed by companies today. Typical Fuji Instax Wide shot: accurate, sharp, and kind of boring. The Impossible Project version of the shot, however, is all kinds of crazy. Not accurate, but definitely interesting. Even just two years ago, Fuji Instax would have won this round handily. Fuji Instax film is in many ways almost on par with classic Polaroid film. It’s predictable, relatively sharp, and doesn’t have any weird defects. However, I’ve found that overall Fuji Instax colors tend to be relatively dull with a blue-ish cast, especially in daylight. I get the impression that the cast is the result of a daylight color temperature that is a bit too aggressive. It has the side effect of making everybody look much more pale than they are both indoors with flash and out. The Impossible Project on the other hand, has come a long, long way in a very short period of time. It’s gotten much more stable and easy to use without sacrificing the unpredictability that makes it so much fun. You don’t have to typically worry about ‘lizard skin’ defects and all that nonsense anymore. When Fuji Instax captures a scene, it will typically look pretty close to what you see with your eyes. Impossible Project film will mess with colors, and typically you’ll end up with something different, but perhaps more interesting. It’s hard to describe, so take a look at the pictures above of the same location in the same lighting conditions to compare. Personally, I love the unpredictability of Impossible Project film, and it’s the primary reason I use it more often than Fuji Instax. However, this is only a matter of taste, and for this round, I declare it a tie. 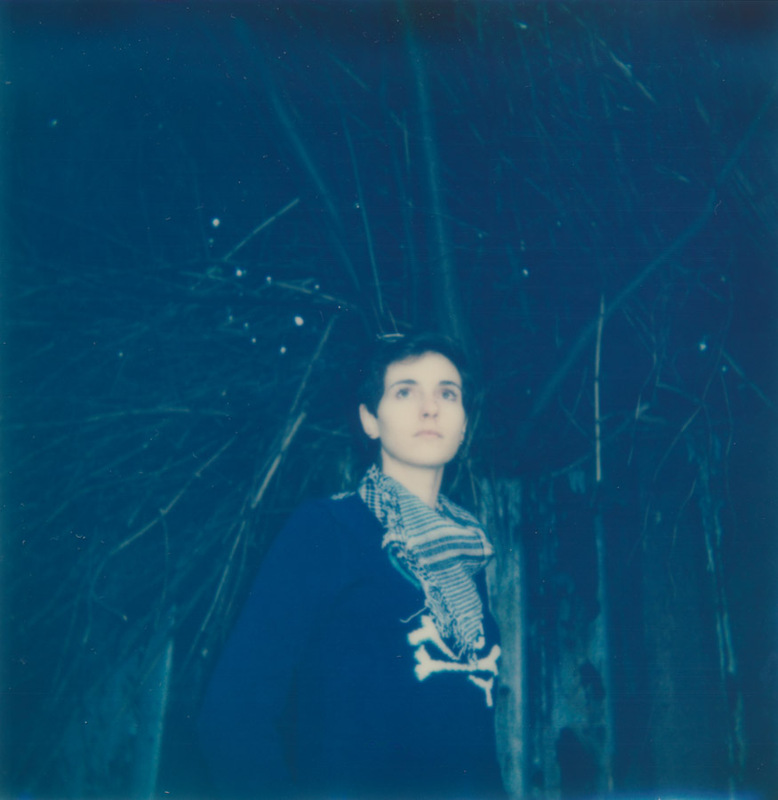 I forgot to scan this right away, and within a few weeks my Impossible Project image turned blue. I have Polaroid pictures that are decades old, and for the most part, they look almost the same as when they first popped out of the camera. Fuji Instax comes from this same mold, and is equally durable. The Fuji Instax image you see after it develops is pretty much going to be the same image you see years from now. Impossible Project film, while much better than it was a few years ago, still has a long way to go on this front. I always recommend scanning in your Impossible Project images as soon as possible, because there’s a good chance that there will be some significant color shifting or humidity damage happening. 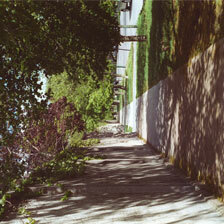 The above picture I recently shot and forgot to scan until three weeks after the shoot, and it’s already turned blue. A few of my old Impossible Images have held up wonderfully, while others have shifted colors or been ruined by water bubbling inside. Since I shoot to scan, it’s not a big deal to me, but if you want to keep around your image as a keepsake, Fuji Instax is probably going to be your film of choice. Fuji Instax Mini is super affordable, but also very small, limiting its use somewhat. As I’ve said before, Impossible Project film is expensive. It also doesn’t stockpile well, so you have to buy it when you need it, not necessarily when there’s a sale on. Typically the newest IP film sells for about 23.50 USD for 8 exposures (prices as of summer 2015), which works out to be nearly 3 USD per photo. That doesn’t even account for shipping, since the only dependable place to buy Impossible Project film is from the company itself. When each photo is this expensive, it can be an excruciating experience when an old Polaroid camera starts acting up and ruining photos and sometimes even entire cartridges. I’ve largely weaned myself off of using older SX-70 cameras for this very reason. I’ve repeatedly lost 60 bucks worth of film wrestling with my angry SX-70 Sonar. Fuji Instax, on the other hand, is cheap and plentiful . Depending on how much you buy at once, Fuji Instax Wide images can be as low as 1.00-.50 USD per shot, with Fuji Instax Mini being even cheaper. If you need to take a ton of pictures, Fuji Instax won’t murder your bank account. Plus, you can easily buy Fuji Instax from a wide variety of retailers, including places with free shipping like Amazon Prime . There are a seemingly infinite amount of box type Polaroid cameras out there that encompass the SX-70, 600 and Spectra formats Polaroid created. The Impossible Project has the advantage of using one of the most common and ubiquitous camera types ever created. Millions upon millions of Polaroid cameras were produced worldwide over the past few decades, and nearly all of them can use Impossible Project film. You can pretty much sneeze in any old attic and a forgotten Polaroid camera will roll out of a box. They were, and continue to be, a marvel of simplicity and intuitiveness. However, with the strange exception of the iPhone/Smartphone adapter lab doohickey, the Impossible Project film does not work in any new cameras. You have to throw yourself at the mercy of increasingly old and grumpy cameras that may or may not work when you need them to. Even investing in an extremely expensive Polaroid SLR doesn’t save you, as it might just up and die on you at any moment just like any other decades-old camera. Luckily, most Polaroid cameras rely on a battery safely hidden away in the film cartridge rather than in the camera body itself, which greatly enhances their survivability. How many old Game Boys have been ruined by acid leaking from forgotten batteries? With Polaroid cameras, it’s trivial to throw an old cartridge away and put a new one in. Fuji is still actively developing new cameras for their Fuji Instax Mini and Wide formats. If you want, you can get a brand spankin’ new camera from Fuji that uses their Instant film formats. Fuji has created some awesome cameras for its Instax Mini format, but the tiny frame size of Instax Mini can be limiting for many applications. Fuji Instax Wide cameras are mostly a farce, and I’ve yet to find a great camera that uses the format. Lomography and even Polaroid makes cameras that use Instax films, but I haven’t gotten a chance to get my hands on them yet. Fuji Instax cameras are also expensive and there are no cameras that even approach the quality of a folding SLR Polaroid camera. Personally, I’d rather buy ten Polaroid 600 plastic cameras and risk a dud or two over buying one expensive, weirdly designed Fuji Instax Wide camera. I love using Impossible Project’s black and white films. 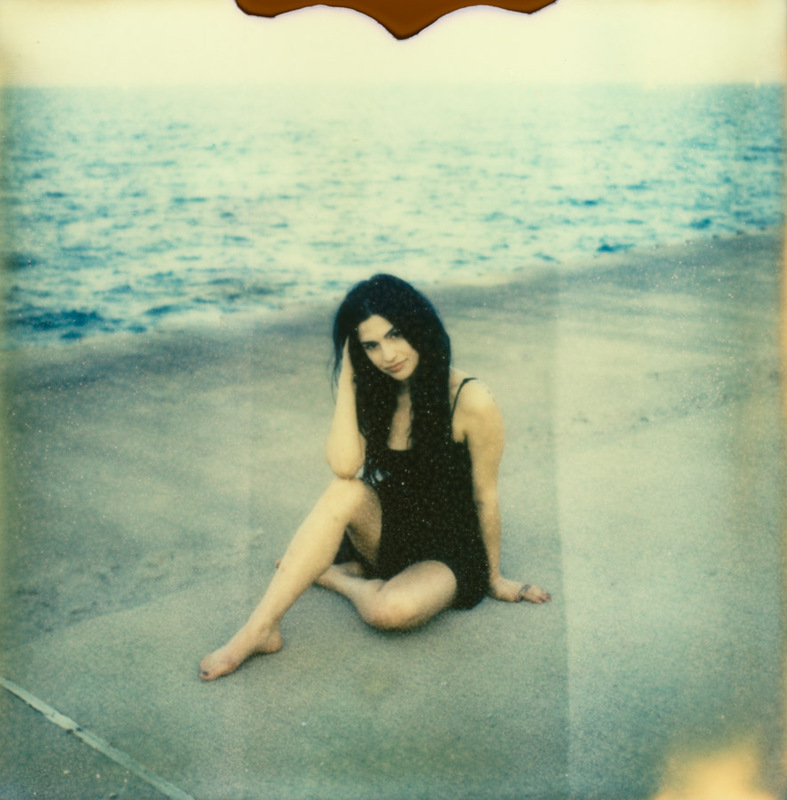 The Impossible Project creates a wide variety of types of film for nearly every Polaroid format. Color, black and white, different frames, even different frame shapes. Polaroid never opened itself up to this level of experimentation. Personally, I love having the option to shoot back and white, and I wish the Fuji Instax line would do the same. Fuji creates peel-apart black and white film, so why not for the Instax line of instant cameras? Black and white Instax film would go a long, long way towards me using it more often for creative shoots. Fuji does however provide two different sizes to choose from: the tiny credit-card sized portraits of the Instax Mini series, and the closer to classical Polaroid sized Fuji Instax Wide. However, the two formats use exactly the same chemistry, so there’s no variety. I personally use Impossible Project for creative projects because I enjoy its relative unpredictability. If I want accurate I’ll use digital. When I started writing this article, I made sure to create five categories in order to prevent a tie. Well, somehow I ended up with one anyway. Fuji Instax won in two, Impossible won and two, and they both tied in Image Quality. The tie is is actually pretty accurate of how they compare these days. It wasn’t long ago that Fuji Instax would have won this hands-down, but Impossible Project has been getting better and better. Both are excellent, increasingly mature instant film formats that are a blast to use. Ultimately it comes down to what you want to do with your pictures. I personally recommend Fuji Instax for events and times such as weddings and parties when you want to capture lots of photos that you plan to keep. For artistic photographic purposes, I believe The Impossible Project is better and it is what I use for my personal projects. Both Impossible Project and Fuji Instax are great, so figure out what you’re shooting and then find the format that works best for you. Once you have your film type, get your camera. Good luck and happy shooting! Get Impossible Project film at their official company store. Get Fuji Instax Wide and Mini film on Amazon . Want instant film news and articles delivered directly to your inbox? Sign up for my monthly newsletter! It’s cool, I promise.